Private, End of the Road Setting! 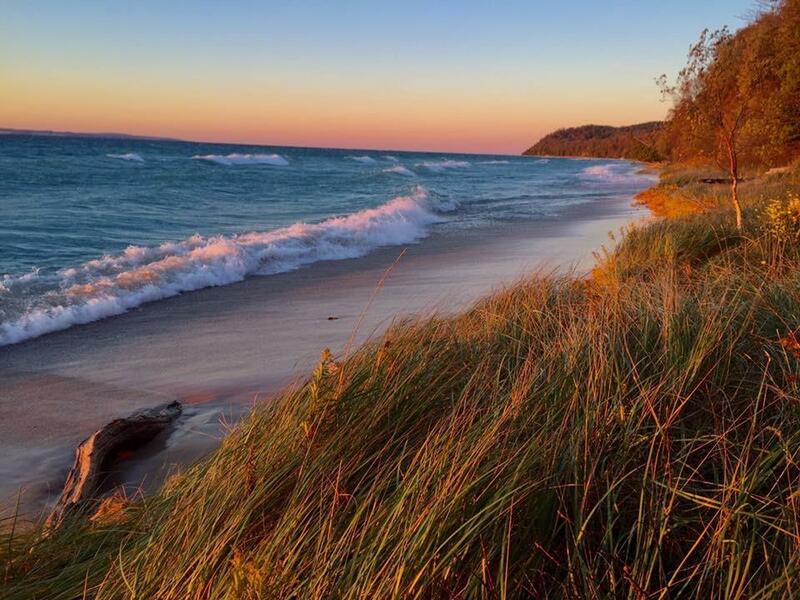 Expansive Views of Lake Leelanau! Spacious 2-story Contemporary Home on 3 Acres with panoramic views of South Lake Leelanau! Private end of the road setting with mature trees, Lilacs and flower gardens. Dramatic 2-story foyer and living room, 2 separate family rooms and a formal dining room. Eat-in kitchen with Granite counter-tops, breakfast bar, dining nook, stainless steel appliances and laminate wood flooring. Main floor laundry and Master bedroom suite with garden tub and a large walk-in closet. Open loft/den area overlooks the living room, 3 large guest bedrooms upstairs and two full baths. Walk-out lower level has a huge recreation room and tons of storage. Large 750 SF deck has sweeping views overlooking the lake. Full length covered front porch. 12x16 garden storage shed. 9 ft. ceilings throughout, Anderson windows and doors. Oversized 2 car garage. Outbuildings OK. Immediate possession at Closing.